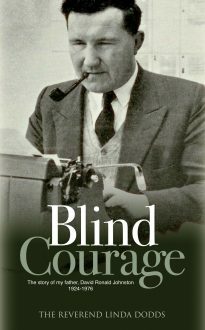 As a small boy in the 1920s, David Ronald Johnston was blinded when a dental procedure went horribly wrong. That did not stop him living a remarkably full life, qualifying as a top-level shorthand typist, becoming a personal secretary and then going on to take increasingly senior positions in the charity Oxfam, eventually beating 500 other candidates to win the post of Regional Organiser and become a driving force for the organisation. His daughter Linda has written this book as a tribute to her father’s remarkable love, courage, determination and strength.